We all love wireless – whether it’s free wi-fi or Bluetooth speakers. But what if we told you that wireless power is also an option? No, we are not talking about NFC applications but actual real wireless power. 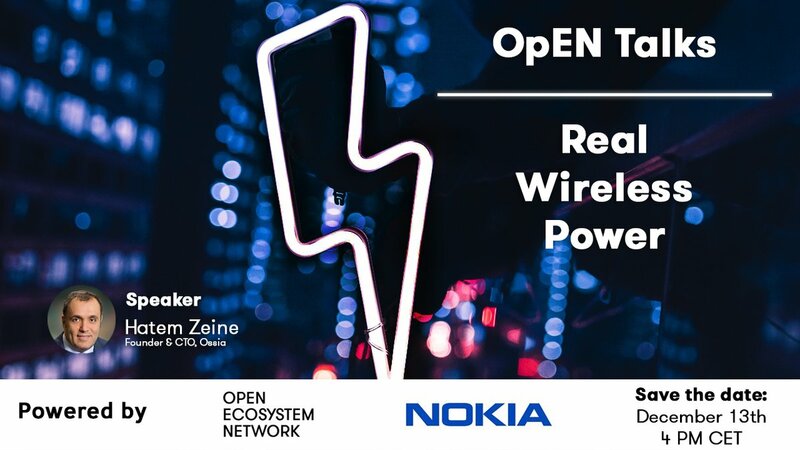 On the next Nokia OpEN Talks our guest will be @Hatem Zeine, Founder and CTO of @Ossia Inc. Hatem will show us how wireless power works, what its use cases are and how it compares to other power technologies.